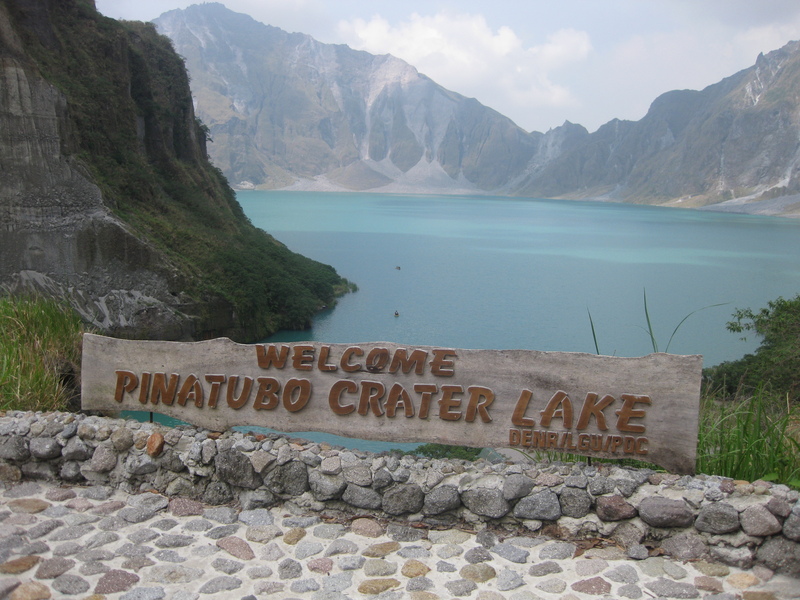 Mount Pinatubo become famous after its massive and destructive eruption in June, 1991. It was said to be asleep for more than four centuries. When it erupted, large amount of ash and pyroclastic were ejected. Many lives were lost and properties destroyed by the catastrophe. It was even said that the phenomenon caused the world’s temperature to drop by 1 degree Celsius and it was considered as one of the most violent and destructive volcanic event of the 20th century. The ash cloud after the eruption almost covered the entire island of Luzon and virtually making the Central Luzon into darkness. 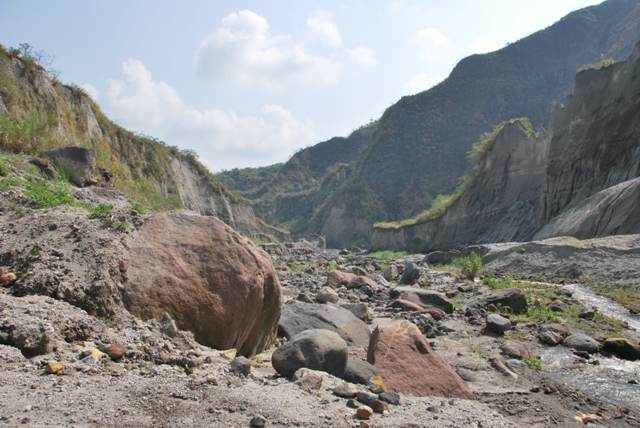 Ash falls were recorded in most parts of the Philippines and even its neighboring countries. Today, many visitors from near and far are intrigued by the volcano and really wanted to see its beauty for themselves. The crater with its turquoise water so mysterious and you will be in awe of its charm. It is so peaceful there that you cannot tell that once it brought about a tragedy. This is one trip that I will never forget and maybe won’t do again. Do not get me wrong, the trek was really fantastic. 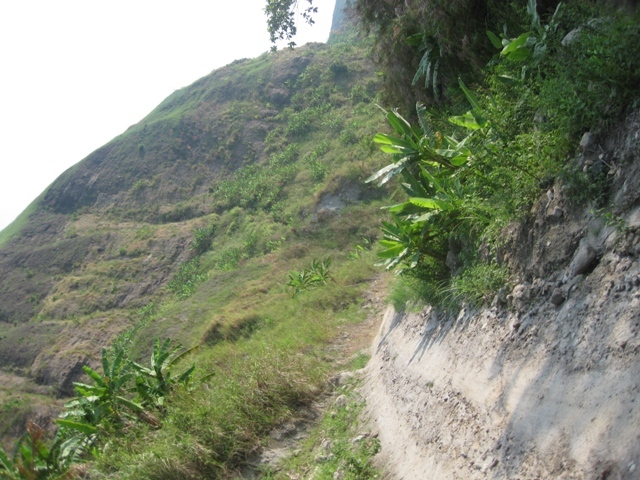 Once you reached the summit and the crater ahhh all of your tiredness from walking will vanish. 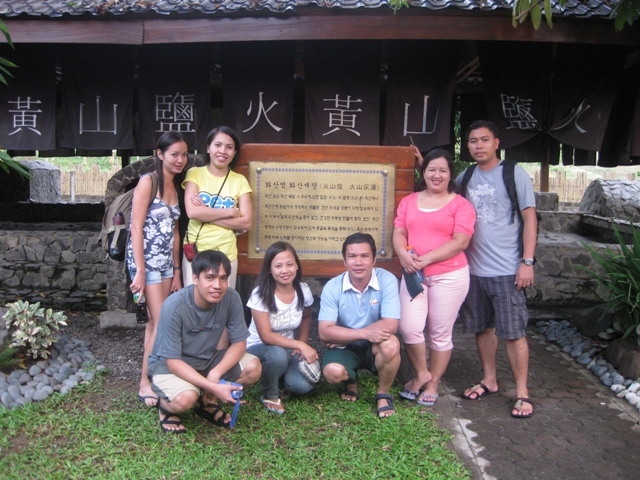 Our group decided to avail the services of PinayKeypoint tour guiding services. 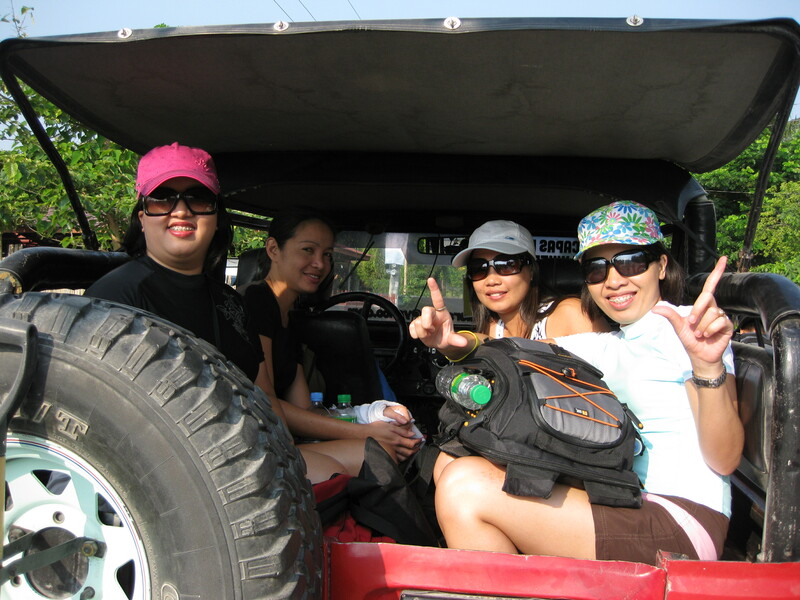 They made our trek hassle free and I felt a little more secured. We were accompanied by four guides (2 for each group of four). They were very friendly and patient with us. But then again, maybe I am not for mountaineering. The weather on the mountain can be very unpredictable. When we climbed, the sun is so high and shining very brightly. 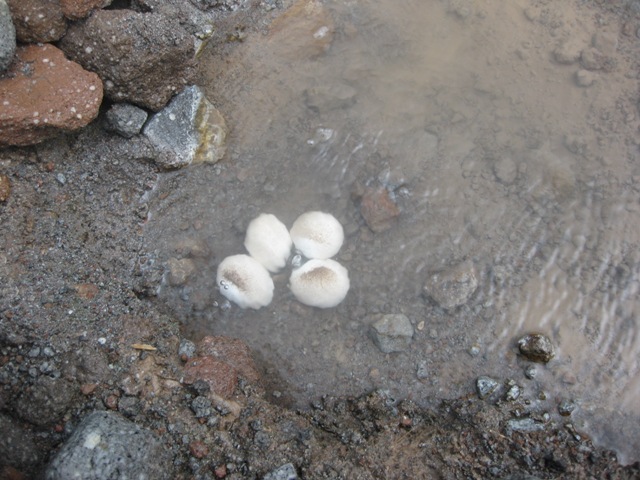 When we reached the crater, well it started to drizzle, but I am not yet a bit worried. We continued with our activities. We took a bath in the 300 ft crater and we also ride a boat around the lake and saw some volcanic activity on the other side. ahem….15 minutes after the 1.5 walk above…. Yipee we finally arrived!!! are we young or SC??? Then, just as we are about to be done with our boat riding, heavy rains were starting to pour. Our ever ready guides has now packed our tents and off we immediately started to go down. I enjoyed the rush (yes, really) but I am also very nervous while going down the mountain. It is not only raining very hard, there is also thunderstorm. I feel that any moment I will be struck by the lightning. I don’t know what I am thinking that time, but I know that I am walking really fast. The rain affects my vision, how I wish that I have a portable wiper with me, I feel that there is a waterfalls following me. The guides although helpful, but they fuel my fear (hehehe). 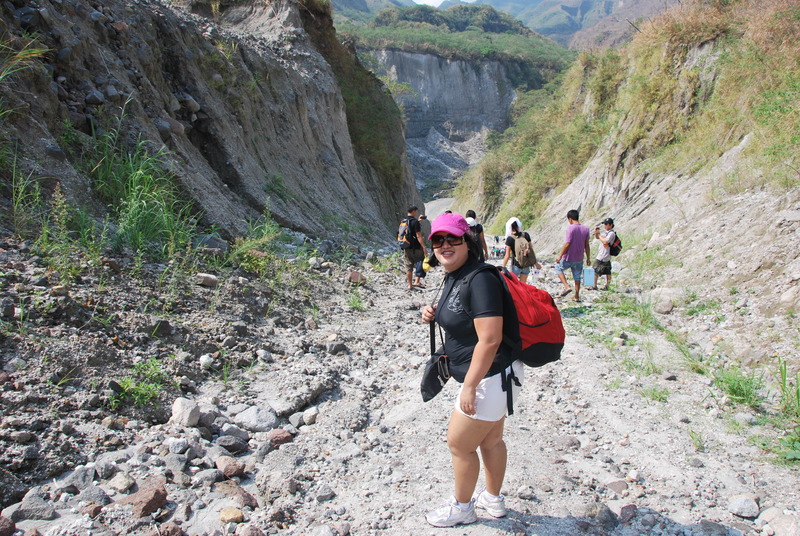 Who would not be scared if your guide will tell you that: Ma’am, let us run this part of the terrain because there could be a landslide any moment (huh?! who would not run, I would even fly if I can!) I did not dream of dying being drowned in mud or of dying that day per se, no not yet. Boating around the lake….super breath taking!!! Okay so we reached our 4×4 safely but my heart is still raising. Now my fear is not about the lightning and the thunder but on the roads we are going to pass. Earlier, on our way up, I acknowledge that the ride is rough and bumpy but I don’t want to imagine how it is when there is heavy rains. Guess what? I don’t have to imagine it at all (hehe) I experienced it. It is indeed a dangerous ride but I am quite confident with our driver and car. That moment, all I was thinking was: Lord please give our driver a steady hand and please do not let our car broke down. .We arrived at the spa safely, thank you. There, we rest a little and relaxed our nerves. We took a bath and change clothes there. Our guides prepared a heavy snacks for the group. 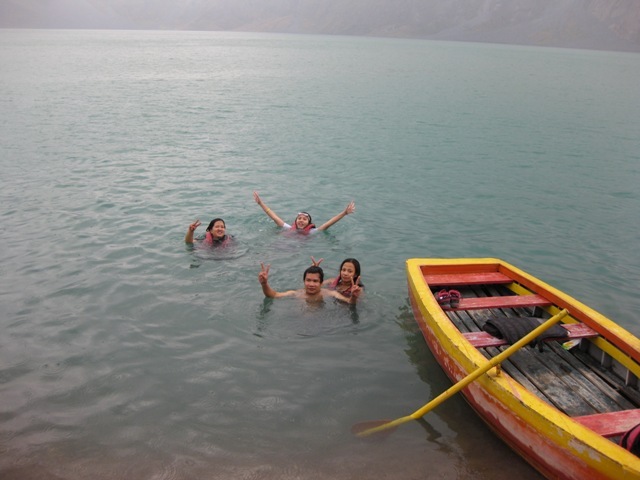 It was the culmination of our Pinatubo day trek. Our Guide: Very informative, patient and just the best. Direction: If you will take the NLEX (Dau-Mabalacat-Bamban-Capas Route), please follow the yellow lane (Mc Arthur Highway). 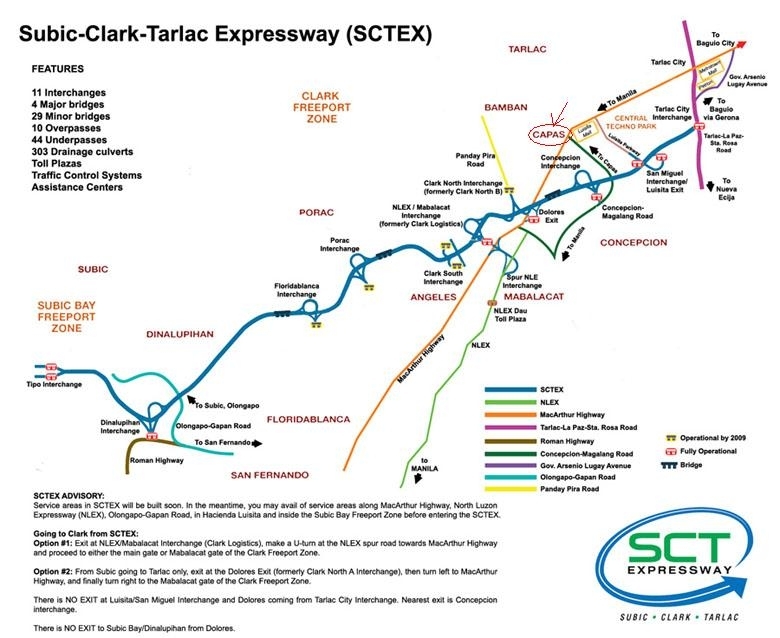 If youwill take the NLEX-Dau-SCTEX-Concepcion-Capas Route, please follow the red lane (SCTEX). 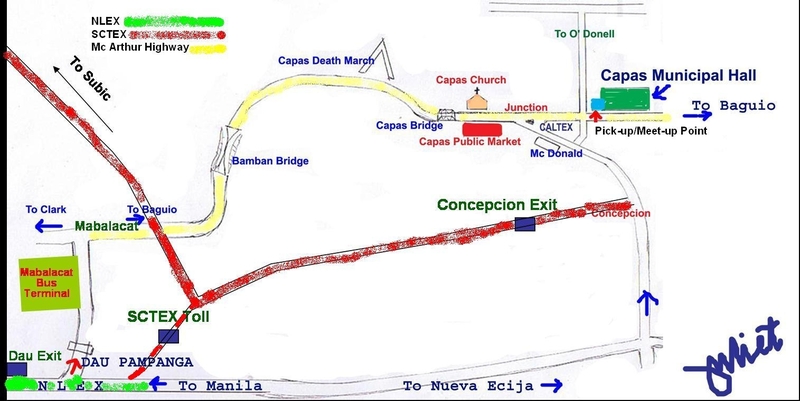 If you opt to take this route, you must take Concepcion Tarlac exit then turn left heading to Capas Junction. 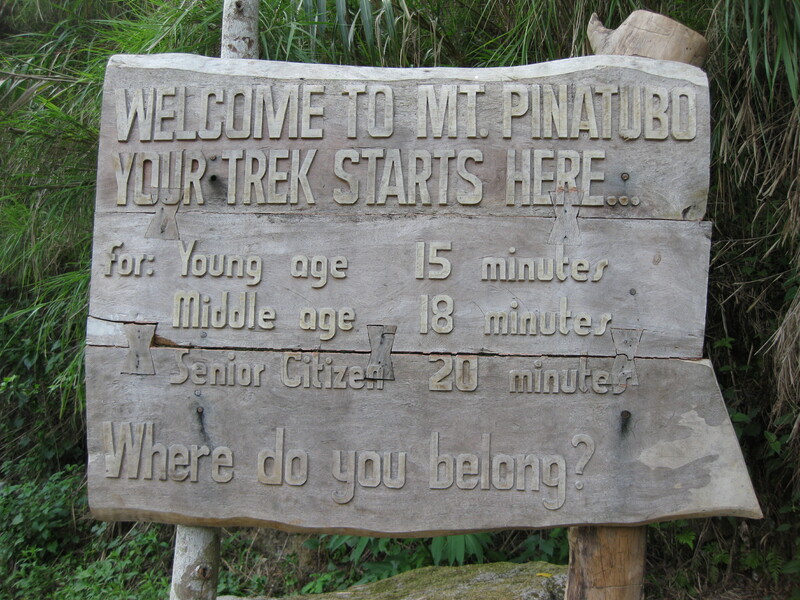 Note that these are the exact reminders that PinayKeypoint sent us before our scheduled trek and mind you I am sure glad that I listen to them. In case of emergency, tour guides are with you to give you assistance. 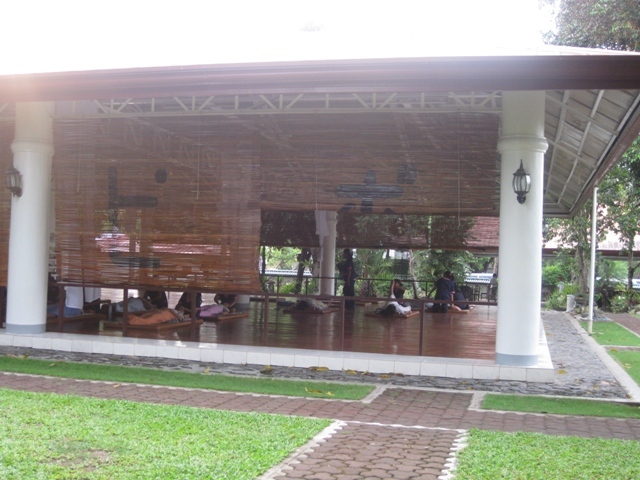 You can seek refuge at the nearest Aeta village in case of bad weather. Please do not skip breakfast. Bring extra clothing in case you want to swim. Bring towel/mask to protect you from dust. Do not forget to pack your toiletries (soap, toothpaste, toothbrush, shampoo and other necessities). Cane or sticks. This is helpful in balancing as you will be crossing several streams and slippery boulders. Bring big plastic to cover your things if your bag is not water proof. Please do not bring valuables/jewelries during the trek. Water proof your electronic gadgets if you must bring, put it in ziplock. Do not disregard this reminders. 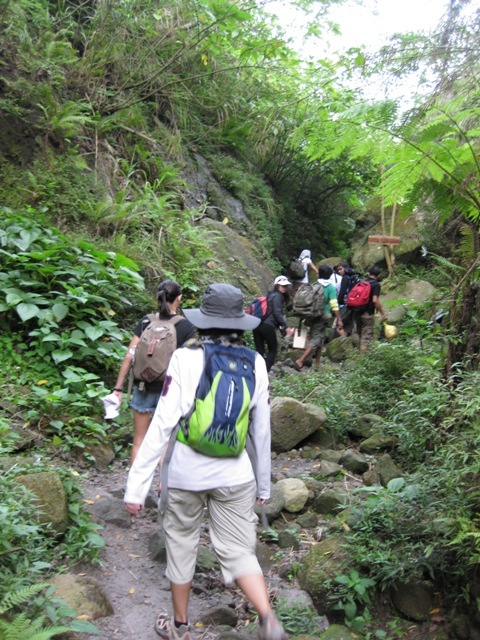 According to our guides, the best time to hike is during the dry season. That is from November to May. 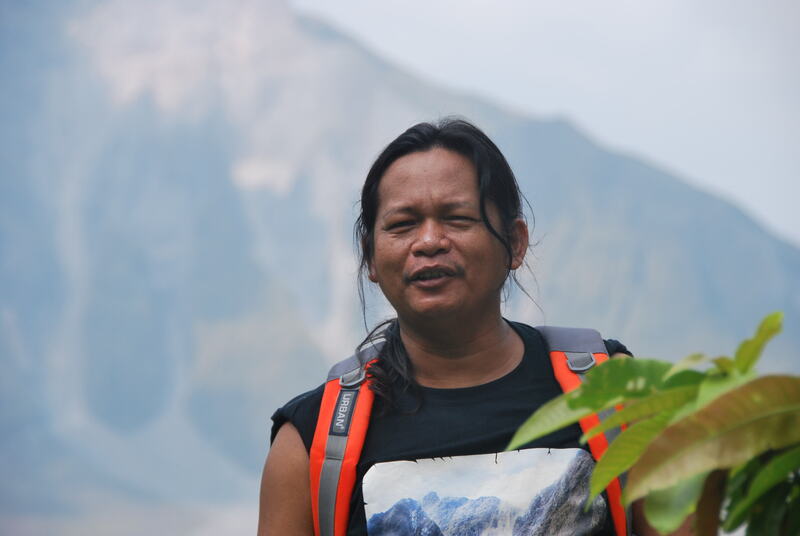 But if you have scheduled trek whatever time is that be sure to check with PAG-ASA if there are storms or any weather disturbances so as for you to decide to cancel your trek or not. Meet up time and place: 6:30 AM @ Mc donalds at Capas Junction(Settlement of payments, briefing, signing of waiver). Note that this venue is around 30 to 45 minutes away from the dispatch point, so don’t be late. Pick up from meet up point (but we have our car and driver to drive us to the dispatch point) Note: Parking fee for the car is around P50.00 ot included in the package of course. Entrance and conservation fees for the entire team. 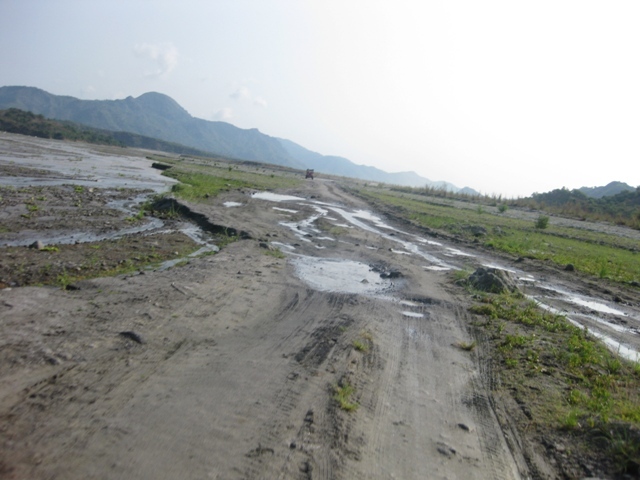 Road fee for the 2 4×4 jeeps. Camping tents for belongings and resting. Lunch for the entire team (rice, fruit, 2 viands) water is only 500 ml. Feels new again, after the battle with the rain…. 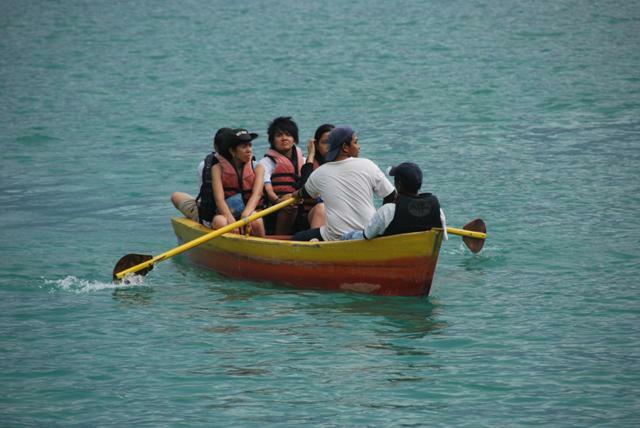 Boating around the lake @ 350PHP per pax. Boardgames, team building or any activity your group agreed to do. We arrived at the municipal spa at around 3:30 PM. We linger there for another 2 hours to relax our nerves and we had a chance to review what just happened. We are thankful that we are safe. 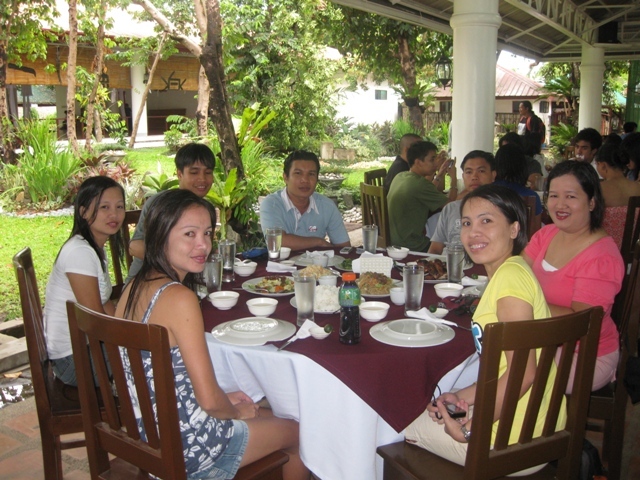 I am satisfied with the services of PinayKeypoint. 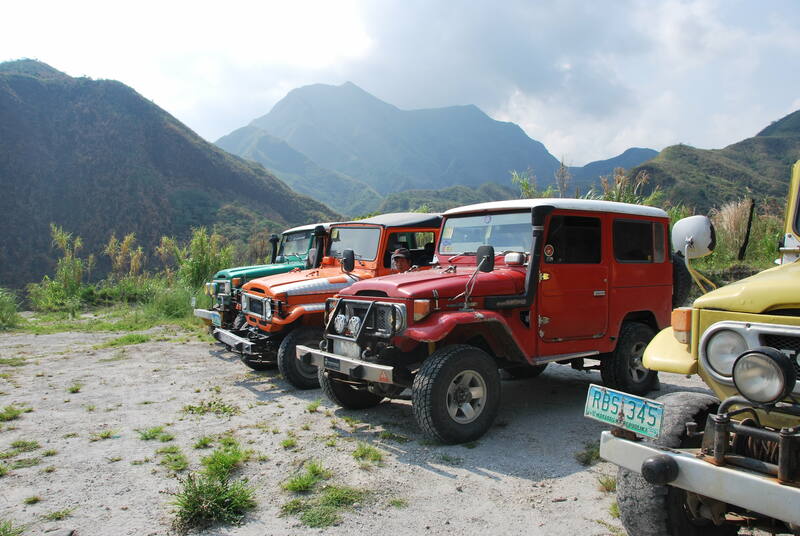 I am sure glad that we have company that I can say experienced and really knows the terrain. For those who wanted to hike Mt. 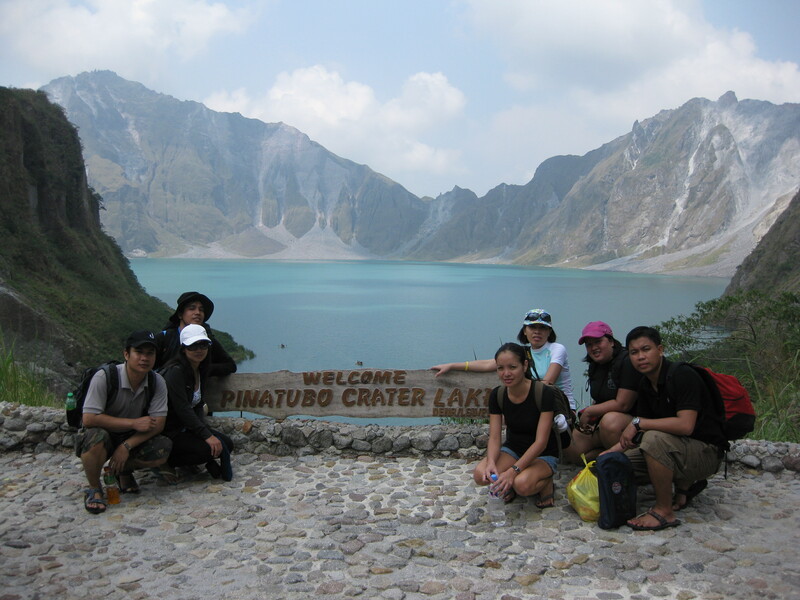 Pinatubo, if you are not a mountaineer and you just want to try, I suggest that you avail of touring package. It is hassle free and there is added security. Thanks for dropping by. I hope your friend really enjoyed this information.